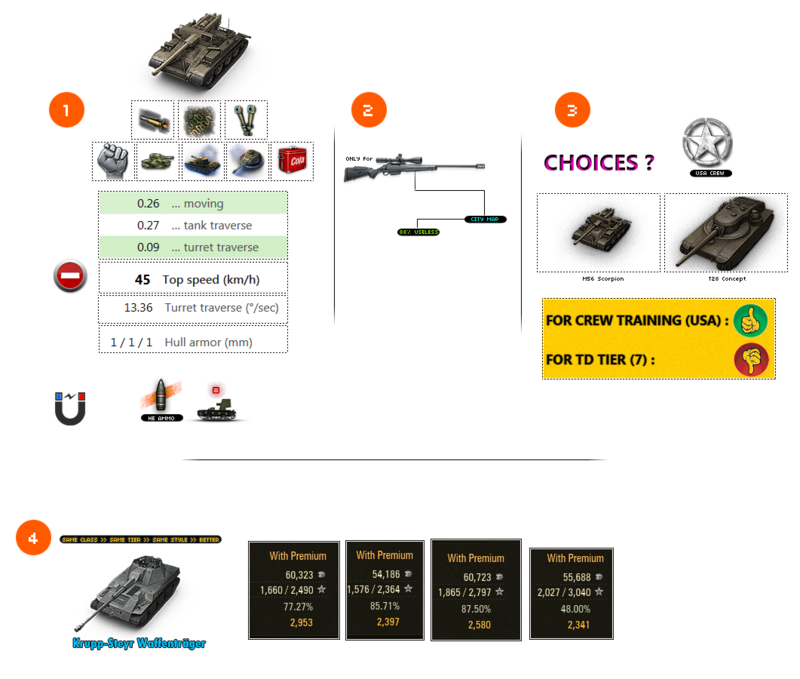 (R) : M56 Scorpion worth it? DPM looks apaling as well. Im pretty sure these decorative cars and trucks on the map who you can drive over has more armour... so why cant i just flatten these once then i ram them? Edited by Condono, 06 September 2017 - 06:31 PM. The M56 Scorpion lives or dies by the enemy ignoring it. When left alone the little bugger has the same nasty sting as it's bigger german brother. I like him better than the T28 HTC that pretends to have armour but doesn't have a bark or a bite, atleast the M56 can bite. If I had to sell every premium tank in the game but was allowed to keep one for each class, this would be my TD. Edited by AvengerOrion, 06 September 2017 - 06:51 PM.